Sharon Osbourne's life has always been full of drama, heartbreak and passion. When she completed her bestselling first book, Extreme, she had hoped to find some peace and stability after her rollercoaster years. It was not to be. In Survivor, her brand-new memoir, she reveals what really happened next. 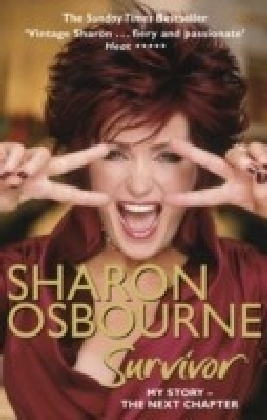 From famous celebrity feuds, to her eventful experiences on The X Factor, to her turbulent relationship with her father and the tragic impact of his death, Sharon remains as frank and insightful as ever. Never afraid to admit to her own problems, she is brutally honest about her weight issues and plastic surgery. And she describes movingly how her husband's unconditional love finally brought her true happiness, even amidst all the chaos of her life.